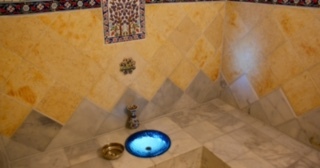 Ever want to go on a Spa Tour? I came up with the idea of a spa tour when I was being silly with a friend at St. Anne’s spa last year – but the more I thought about it, the more I really liked the idea. Why not incorporate new experiences with spa and try to do something different every month or every other month? So the Spa Tour began. This week actually! 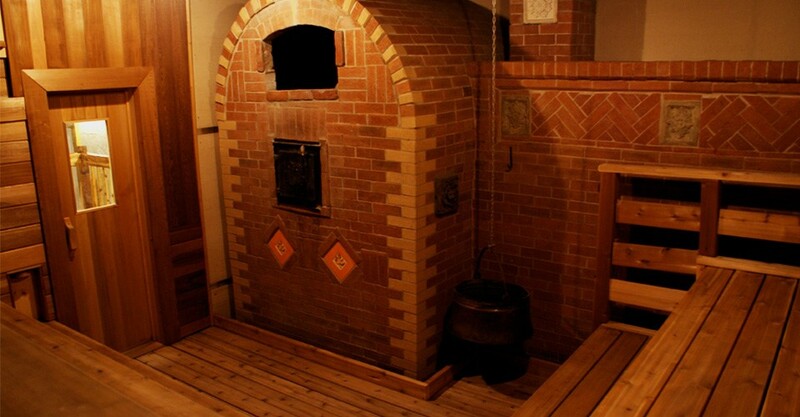 One of my patients/collegues/friends suggested late last year that she wanted to try a Russian Bathhouse for the first time and asked if I would be interested (see people know I can’t pass up a new experience). Tuesday is Ladies Night so I went with 3 friends and had dinner and a sauna from around 8 till 11 pm as well as tea. Let me tell you the food was amazing (I had beef stew) and I was super relaxed – slept amazing and was so mellow the whole next day. 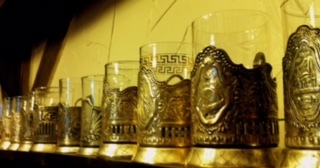 My friends and I decided that we would try another one – a Korean bathhouse next. Not sure when we will do this but the whole thing inspired me to try to do some spa and self care for myself monthly. This venture wasn’t overly expensive either – the spa entry fee was $45 and dinner was $15. Pretty reasonable I thought. 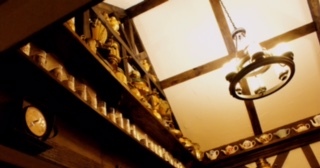 The place is comfortable, clean, and kitschy I really liked it and recommend it – I would totally go back. Next on the agenda is a 2 hour foot and body massage at a wellness spa near my clinic – they have a special for $89 I believe – I will try to do this in February or early March and book the Korean spa with my friends after that. Self care and relaxation is super important – what do you do to help yourself? Also if you have any suggestions for something to add to my spa tour list please let me know and I will review it! Want a recipe that will become a staple? This thai red curried chicken for the Instant Pot is it. I made it last night. 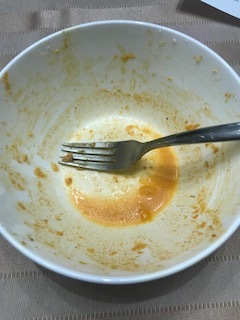 I ate four bowls of it and drank the sauce. That’s how good it is. Have you ever had thai red curry at a restaurant? This recipe is restaurant quality. I am super excited by the whole thing because I LOVE Thai curries and I think this one will work with the green curry too . 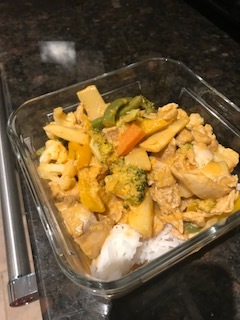 I also have a child who is very allergic to peanuts so Thai food is really not a great idea for him in a restaurant where a staple is peanuts… With this Thai red curry recipe I can make it at home and safely. This recipe came to me from a patient of mine who gave me permission to share it and to credit her (Thanks Taylor L!) and the amazing part is that she MADE IT UP. She is in her early 20s and I’ve known her since she was 9. Mindblowing recipe and I am so happy she gave me the go ahead to share! Everybody please thank Taylor for this amazing yumminess!! Here are the ingredients you will need for this Thai red curried chicken – while some are a bit odd they are all easy to find at your local Loblaws. 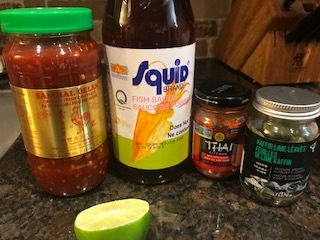 Place 1/2 a can of the coconut milk and half a jar of the Thai red curry paste in the instant pot and mix – Saute for 2 minutes. I served it with rice for my husband and cauliflower rice for myself to increase the keto-ness of the meal. Lunch leftovers… so excited for lunch! Ya, I have. Chicken cooked in 5 minutes. I mean seriously… who can say no to that? Ok, it isn’t a total of 5 minutes. The cook time is only 5 but it takes the pot to come to pressure about 10 minutes – still super fast. And there are a ton of recipes out there for it. 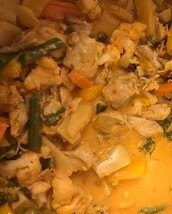 This one is for curried chicken – I actually went looking for a thai style curry but I got an Indian style – which was super yummy (I ate three bowls of it) and also Keto/Paleo… I served it (to myself) with cauliflower rice and rice (for my husband who thinks cauliflower rice is gross – he is crazy but whatev). Put instant pot on Saute and melt and heat coconut oil then add onion, cinnamon, cloves and 2-3 tbs water and saute for 5 minutes. Add the rest of the ingredients (except the cream part of the coconut milk – reserve this for later) and stir. Cover pot and put valve on Sealing and then set on pressure cook on high for 5 minutes. Once complete allow it to vent naturally. In the meantime prepare rice and or cauliflower rice. 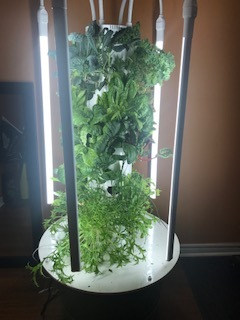 Et Voila. Seriously that’s it… Super yummy. In case you don’t have a recipe for cauliflower rice – here is one from a prior curried chicken recipe – this one is also awesome – a totally different taste..
Goal Setting – How is it going this January? Happy January! 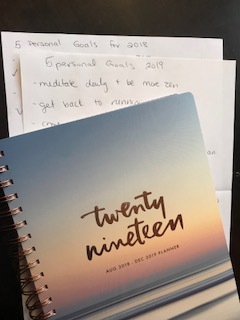 This is my first non-recipe blog post of the new year so I thought I would talk about something that is very January appropriate – goal setting. I mean, lots of people right around this time of year may be falling off of the wagon they jumped on at new years … the death of the resolution so to speak – Generally starts to happen week two of January or a bit longer… I stopped making ‘resolutions’ a while ago. They have always been the same really (mostly starting with lose 20 lbs but whatever…). Last year, I did something different. And I liked it. So much that I did it again this year – weird! It was goal setting. Wanna know the number one reasons goal setting doesn’t work? People don’t write down their goals. Seriously, that’s it. If you write them down you are some bigger than you would thing percentage closer to actually acheiving them. Of course you have to do the work but still, just writing them down gets you that much closer so what have you really got to lose? In this post, I will share with you a super simple goal setting method I was shown last year in a fabulous group I belonged to so that you can be well on your way too. Sound good? Ok lets go. Ok so really all you need for this goal setting method is you and your honest self, a pen and a blank sheet of paper. But if you are really wanting to improve on what you accomplish off of your goal setting list this year I really recommend a daily planner. I really like this one pictured above- I had the same for 2018 and I got it recently at Indigo for $14 (it was on sale last week). More on the planner later. Then be honest with yourself about what you want and don’t hesitate to reach a bit – even if you “don’t think it is possible to reach that goal in one year” if it occurs to you write it down. Be specific. Use numbers if it is appropirate (weight loss goals, income goals, exercise goals – use times per week etc…). The more specific you make it the better. Once you have written 5 things in each category (it can be more if you wish) you are done the goal setting bit. Seriously that is it. Fold up the piece of paper and tape it into the front of your journal and don’t really look at it till next year. That’s not really it though – things wont just come true if you write them down right? So now that you have written down your goals. Here is where the planner come in to bring the magic. Even though you aren’t looking at the goals you have written down every day or really at all till the next time you do this exercise, you know what they are in your head. So here is the magic part. Every day do something (or several little things) that get you closer to that goal. I find that writing down what I do during the day regarding professional and personal goals helps me accomplish more. What do you know you have to do to accomplish the things on your goal setting list? You know what they are….. Here is a tip – do the thing you hate most first. Eat the biggest frog first so to speak. Everything from there is downhill and easy. For me at work that is “sales calls” – what does this mean for a chiropractor? No I am not cold calling looking for patients – what I do is call businesses or groups to offer to do free lunch and learns. I speak about a variety of health related topics like stress, diet, ergonomics, lifting technique and I even run guided meditation sessions. I love doing these workshops. BUT… I hate calling random places to find places to speak. Why? I have no idea – totally mental I guess. The places I call love it and everyone I have ever called has been super nice even if not interested… None the less, I don’t like making the calls. So I try to set a number amount of calls to do daily when I need to start booking in advance. And I try to get these calls out of the way as early in the day as I can. I am not perfect at it but by having this in my head I do it far more often than I otherwise would. This got me to accomplish the goal I set last year of having at least one speaking engagement per week. 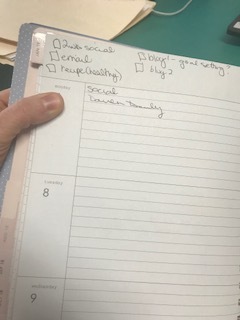 Last week, I got to open my goal sheet from 2018 when I sat down to write my new one for 2019. I couldn’t remember exactly what was on it but somehow I accomplished 3/5 personal goals and 5/6 professional ones (yep, I did 6 – overachiever to the last). 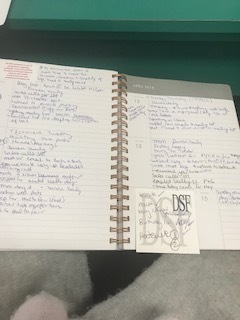 So this year when I wrote my new goals I carried over one of the 2 I still wanted to accomplish from the personal goals (the other one I decided to drop as it no longer seems important or needed to me) and the 1 professional goal I was reaching toward but didn’t quite get to yet. All good, I will keep striving for those, and I set 4 more new goals in each category. I would love to hear about your goals – and what you think about all of this so please leave me a comment – I hope you find this helpful and fun! Go get ’em this year. It’s gonna be great. So one day before Christmas my husband Ryan decided to make Home made Mac and Cheese. He didn’t have a recipe he just made it up in his head… and it was one of those that looked so good when it came out of the oven that I decided to take a fork right out of the drawer. I ate some and looked at him and I said “this is Flipping Awesome”. Except I used a different F word. Generally in our house my husband is not the cook. Except with BBQ, chili, sandwiches, grilled cheese and omelettes. In these categories he reigns. But for him to decide to make something, without a recipe, is rare. F-word Awesome is rarer still so I asked if he could write down what he did so I could share it. First week of January right? 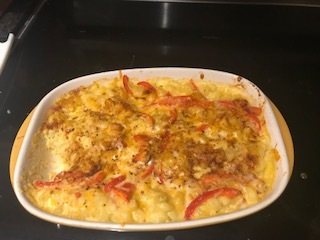 Usually I would include some uber-healthy recipe but this one does not fit that category… we can get to that next week … this home made mac and cheese was so good that I have to share it now because I don’t want to forget to do that. And selfishly I want a record. For the flipping good home made mac and cheese here is what you do: Cook pasta al dente or a bit under cooked. Melt butter and add milk – make a roux with the flour adding slowly and whisking. Heat and then add cheese (reserving some to top casserole dish with) till melted. Pour sauce over noodles, add bacon and mix and put in 9×11 casserole dish. Top with a bit more extra shredded cheese, bread crumbs to cover the top of dish and sprinkle with paprika, Tex Mex seasoning and arrange the red pepper slices on top. Bake at 375 F for 20 min. Flipping awesome mac and cheese. Comfort food.